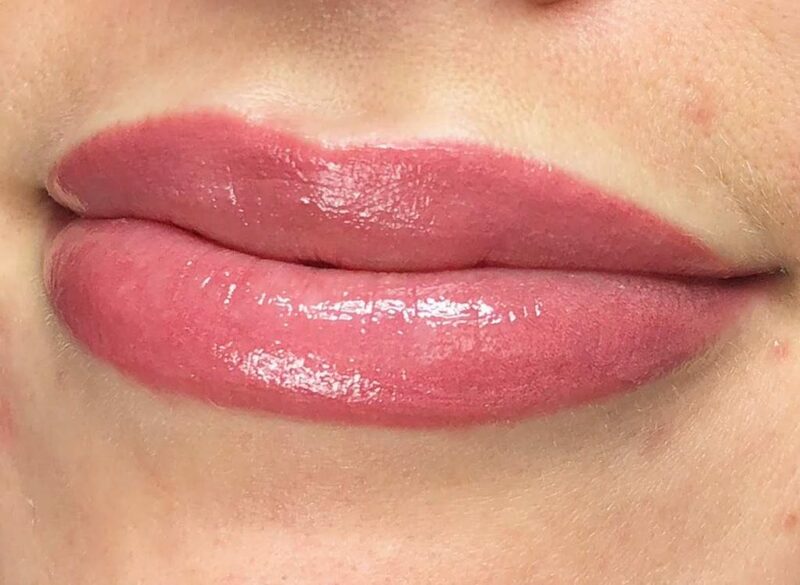 Beautiful pouty lips with a natural looking tint of color? Sounds like every woman’s dream! Our amazing tinted lips technique has revolutionized Pmu for lips making that dream a reality. 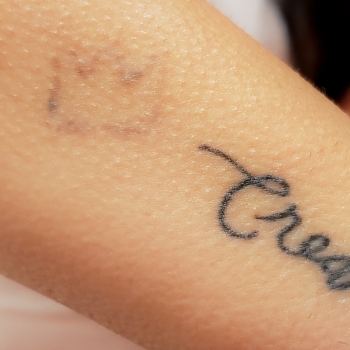 Keeping pain and discomfort to a minimum, with hassle free healing and post care process, this technique yields soft and natural looking results. The delicate nature of this technique makes tinted lips appropriate for almost all skin tones and types. Tinted lips also helps enhance your natural shape giving your lips a contour without seeing a defining line and helps achieve an evenness in shape. It can even help with scarring on the lips and uneven skin tone. Tinted lips does not impact your ability to wear lipstick and can fully be covered by any color lipstick when you want. Thats the beauty of this technique. It is so soft and natural that no one will ever know! It is best to moisturize your lips well in the days before your procedure (using aquaphor or something similar). Post procedure lips must be coated with a moisturizing agent throughout the day and before bedtime. The procedure requires approximately 1-1.5 hours and there is no “down time”. 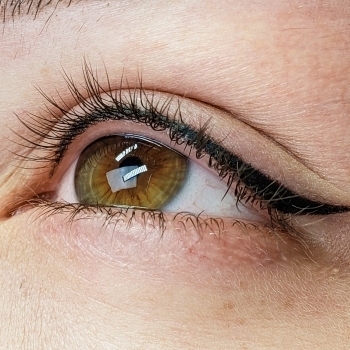 A touch up is required 6-12 weeks after the initial procedure. After that touch ups are determined on an individual basis. 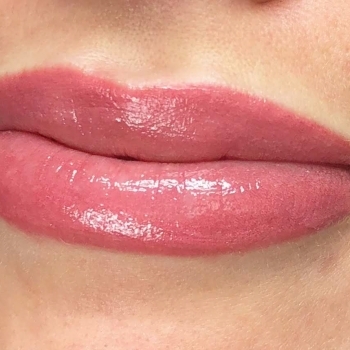 Please note: For the first 4-5 days, lips may be sensitive to touch, slightly swollen, appear uneven, and the color may be brighter than desired. This is very common for all permanent cosmetic lip procedures. Pricing: With Daria- $650 With Kostas-$450 All touch ups are $50 and should be done with your original Artist. No tweezing/ waxing at least 48 hours before procedure; electrolysis no less than five days before. Do not resume any method of hair removal for at least two weeks. 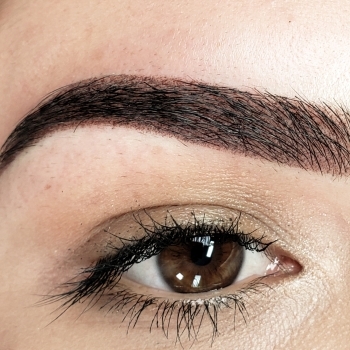 Eyebrow tinting should be done or removed no sooner than 48 hours before, or two weeks after the procedure. 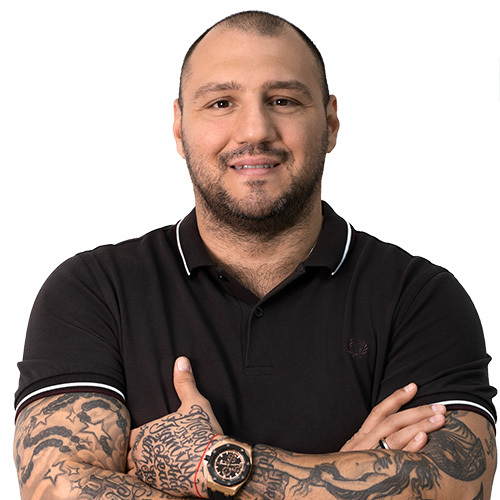 Please be aware that the result of the procedure is depending the following: Medication and health conditions, Skin Conditions – i.e. oily and poor skin, very dry/flaky skin, sun-damaged skin, loose or laxed skin, Natural skin undertones, Alcohol intake and smoking, General stress, immune system, Poor diet and not following the aftercare instructions, may affect your healed results. Antacids, thyroid and anxiety medications have been reported as interfering with permanent makeup either by affecting retention or shifting the pigment to an undesirable tone. Remember, everything we eat and drink have their own chemical structure and the electron ends that are unattached or free, may get attached to others compounds inside the body forming a new molecule that may show a different color spectrum. With that info, an educated client may have better expectation and know that she / he may need more frequent adjustments that others. The better condition your skin is in, the better the final result will be. Mature clients may need an additional one to two weeks healing for the final results to appear. The better you take care of your skin and protect it from UV rays, the better the outcome and lifespan of the permanent cosmetic procedures. Your post procedure lip care consists of cleaning your lips every hour for the first four hours after your procedure and then every three to four hours the day after your procedure using our after care pads which will be provided to you. In between each wipe aquaphor should be applied to your lips and your lips should be kept moist and coated at all times even at night. You must apply a thick coat of aquaphor to your lips before bedtime. We recommend keeping your lips coated and moisturized for 3- 4 weeks post procedure. Your lips may slightly scab and peel. You must let the scabbing process happen naturally. This is very important for your retention and skin healing. Do NOT pick at the scabs, scratch your lips, peel your scabs off, or scrub the area. This can result in scarring and will affect your overall retention of the pigment.